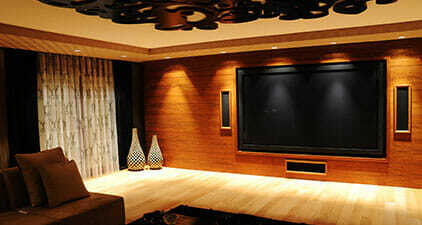 A Home Theatre is one of the most important entertainment features of your home. 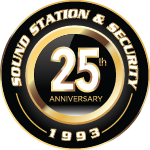 At Sound Station and Security, we know how special your home is to you. This is why we do not simply offer home audio products and installation, but solutions that are keyed into your specific lifestyle. Whether you are interested in music while entertaining or escaping your surrounding with the help of your Home Theatre System, let our specialist guide you through your choices. 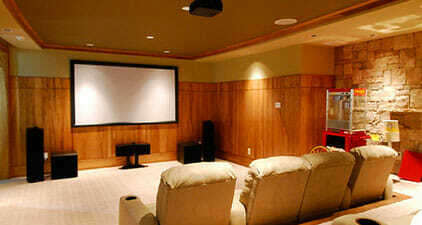 Sound Station and Security is your resource for all Home Theatre Products. 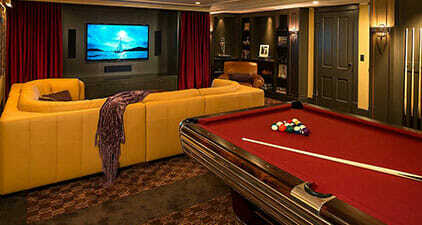 Custom made home theaters built right into your man cave or she shed basement. Built to your exact specifications, we’ll work to make your home theater experience like no other and the talk of all your friends. Get the theater experience right in your own home. It’s just like you’re at the cinema — but without those pesky rising ticket costs. Surround sound, top of the line High Definition video and plenty of other options. Speakers, screens and more built right into your home’s walls or stand-alone out in the open. It’s your call at Sound Station & Security. Classy and traditional or high-tech and modern, we can work with it all. What’s your style? 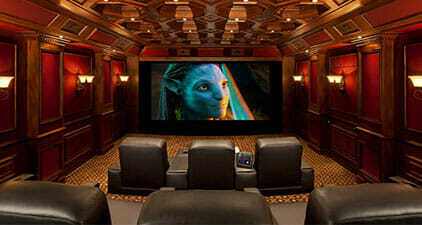 Custom home theaters built to your specifications and the atmosphere you want. Built-in speakers, stand alone speakers, high definition and projectors. We can work from scratch to make your home theater tops in the neighborhood.